Examine underwater life with our resident seaweed expert. 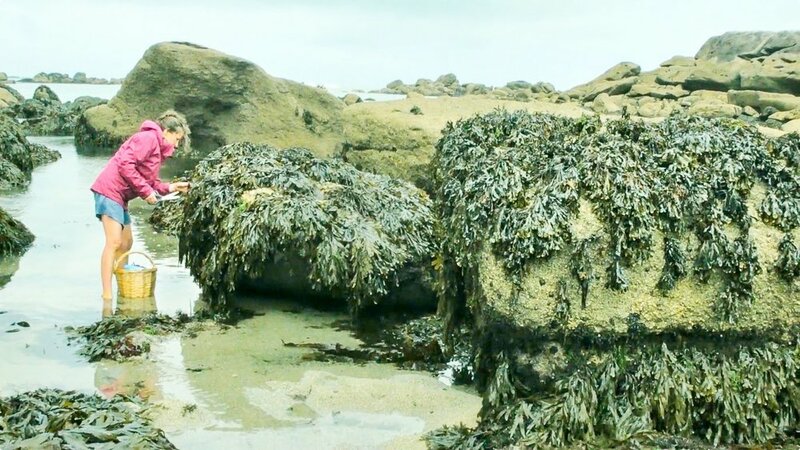 Heidi has been sustainably harvesting and selling seaweed for over a decade: she knows what to pick, how to pick it, and most importantly, how to make it taste delicious! This two to three-hour guided morning foray will meet on the beach in Sonoma, and be followed by a talk on what you collected, the science of seaweed, and how to cook your catch. You can expect to collect up to 10 lbs. of edible seaweed. This is a coastal forage during low tide. You won't need to get in the ocean but we recommend wearing rain boots. There are several species we look for, depending on the season and weather, we may identify and sustainably harvest nori, wakame, bladder wrack and kombu to take home. You can expect a yield of up to 10 lbs during your foray on the Sonoma Coast. 2-3 hours of foraging on the Sonoma Coast, followed by a seaside talk on the ecological, culinary, and scientific wonders of seaweed. Happy summer to you and hope you are enjoying the lovely weather. I wanted to pass along some feedback to you. I took Heidi's class a few week's ago and found it to be AMAZING! I learned so much in such a short time and didn't want to leave the coast! It was magical being up so early in the day and to be foraging amongst what looked like "sludge" in the morning fog until we began to learn what everything was. Kombu! Bladderwrack! Nori! And MORE! I couldn't get enough of it. The next fun step was to process it all, some successful and some not, and I now have my own stash of goodies. I've kept in touch with Heidi and learned more about this fascinating food. Thanks for connecting the Bay Area to this wonderfully knowledgeable and hard-working woman. More please! See FAQ below for suggested gear. Read more about Heidi and her seaweed foraging adventures in Lucky Peach: A Little Kelp From My Friends. Got questions? Please see our detailed FAQ (below) or e-mail us at classes@foragesf.com. Where should I stay the night before? What should I bring to the forage? 4-6 Gallon bags/Ziplocs; a pen or Sharpie marker for labeling; and shears. We prefer gardening shears in a holster, though regular office scissors are fine. You may also want to bring water, a snack, and a camera. We will be separated from our cars during the entire duration of the foray. Bring both a wool hat and a sun hat—weather conditions vary widely! Wear tall rain boots (mid-calf or below the knee if you have them) or water sandals (it’s 52* though!) and bring an extra pair of socks and change of clothing, just in case. Your shoes/boots should have good traction, as the shore rocks can be very unstable, sharp, and slippery. What are the physical demands of this trip? There is a set of about 100 stairs leading down to the beach. While on the shore, you’ll need safe shoes to walk over the rocks, which can be slippery and unstable. Have more questions? E-mail us at classes@foragesf.com! *Please note that we do not accept cancellations within 14 days of the class. You're welcome to sell or gift your tickets to a friend—just imagine how excited they'll be!